Gypsy melodies, Balkans music and Jazz are perfectly melted in this creative album, like a romantic trip in the heart of Europe. This album will take you from the kingdom of Bohemia to the borders of the Andalusia, driven by an Electro swing tune. Bohemian spirit is also the theme of the musical illustration CD created by Beatrice Ardisson with collaboration from Mr Untel, following the sonorous journey of the exhibition “Bohèmes” at The Grand Palais in Paris. 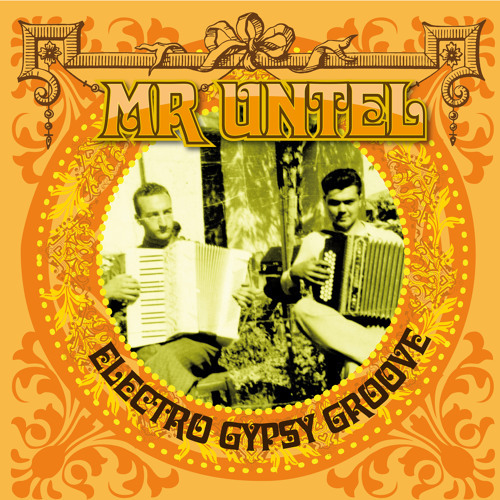 “Electro Gipsy groove” is a festive, joyful and dreamlike musical time created by Mr Untel.